A tangle of cars, trees and other debris from the ill-fated Edison construction camp at Kemp, just east of the L.A.-Ventura County line. 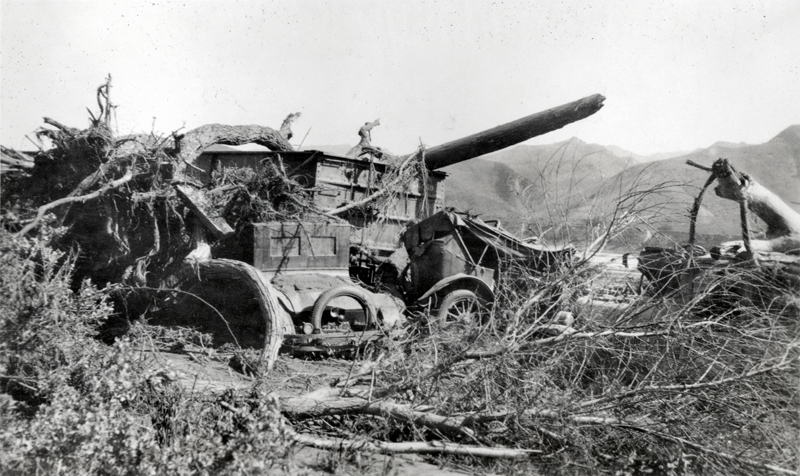 Some of the same wreckage is seen in this photograph. EJ2803: 19200 dpi jpeg from original 2.5x4-inch print. Archival scan on file.